What is anxiety in children? What is separation anxiety? How can you help your child/grandchild with the transition from home to nursery/pre-school and then to primary school? With it being #WorldMentalHealthDay author, teacher, parent and childhood anxiety expert, Stacey Turner, has helped to provide the answers to these questions and to discuss strategies that can help parents, grandparents, educators, and anyone who works with children tackle the problems of childhood and separation anxiety. My boy really suffers with anxiety, more so relating to his autism & sensory issues. At five, Archie is classed as pre verbal in that he has started to use some simple words but still doesn’t have full sentences & understanding. He can communicate in terms of the basics such as naming things or pointing out things he likes but isn’t at the stage where he could verbalise his thoughts and feelings which would be similar for a lot of younger children just developing speech. For him, I’ve learnt that his anxiety can come from the unknown, being unsure of what is happening next and being scared. He likes familiarity and routine and can’t cope with changes therefore it’s my job to prepare him as best I can. Anxiety is not naughty behaviour, although it can sometimes feel like that. Anxiety is an emotion, and one that a lot of children struggle to understand. It can be so scary for kids not know what’s going to happen, what school or nursery is going to be like and the anxiety takes over. They manifest in how your child’s body reacts to these anxious thoughts in a fight or flight way. While every child and family are different, the basic patterns of anxious thinking, physical and behavioural symptoms appear in a similar way. The crux of it is, we want to alleviate and overcome anxiety. It’s not only traumatic for the child, it is for the parent/s and can be for the whole family. It’s like a domino effect that impacts people along a chain, as the family group tries to handle the distress. If we don’t try and overcome anxiety, it can end up having greater effects on children and their families as they get older. HOW DO WE TACKLE ANXIETY AND STOP IT BECOMING ALL-ENCOMPASSING OR A PROBLEM IN THE FUTURE? By acknowledging this emotion and working to break the thought pattern and/or learning to manage thoughts. By offering lots and lots of reassurance and showing our little ones that it’s ok to feel this way, but it doesn’t have to be like this! By facing fears and becoming ‘brave’, we teach our children confidence, resilience and to be problem solvers, which is an incredible achievement. For us we use some specialist communication tools called PECS (Picture Exchange Communication System) to create a schedule for each week, showing which days Archie is at school as he struggles with the concept of the week and weekends, but a visual schedule could work for a lot of children. Then to make it a little easier for him to understand, and to reduce his anxiety I include his favourite school activity from each day, such as PE on a Wednesday and cooking on a Thursday. This just reassures him that he’ll enjoy the day at school. Anxiety is provoked in a young child by separation, or the threat of separation, from the child’s mother, father, or primary carer. Separation anxiety is often a normal stage of childhood development from approximately eight months (sometimes younger, as was our case for little Molly) to five years, sometimes older. It can reappear at times of change and stress. Separation anxiety disorder: children with separation anxiety disorder feel constantly worried or fearful about separation. You may be dealing with a child who is constantly refusing to be separated from you, displaying panicked reactions and complaining of physical symptoms that can’t be soothed. 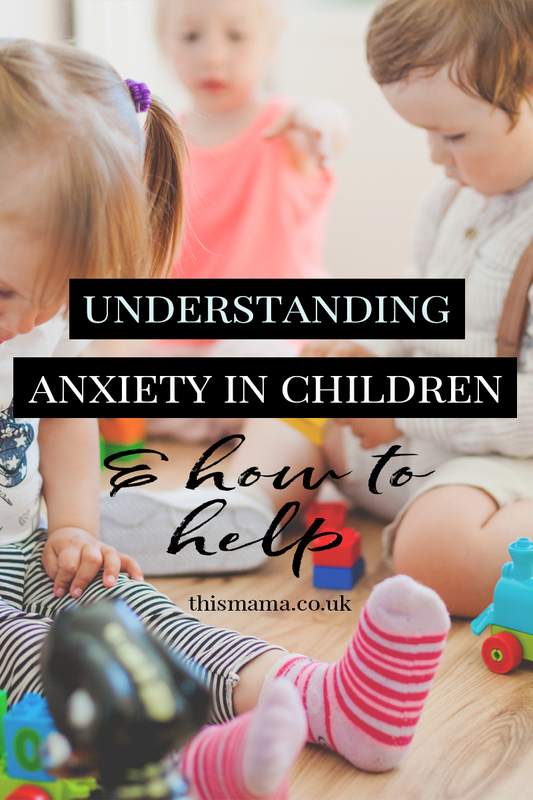 HOW DO I KNOW IF MY CHILD HAS ANXIETY ISSUES? Crying, screaming, shouting, throwing a tantrum and clinging to the main carer are healthy and normal reactions and vary in length and intensity between each child. You can ease your child’s separation anxiety by staying patient and consistent, and by gently but firmly setting limits. With the right support, children can usually overcome separation in time. Stacey explains that each child is different and this needs to be taken into consideration. *Retreat to a corner or hide under furniture. *Have difficulty settling back to a calm state. *Be reluctant to go to sleep. When a child closes their eyes, you disappear and this can stimulate nightmares, sometimes they are very scary. *Wetting or soiling the bed. *Experience lots of toileting accidents. *Refuse to go to nursery, pre-school or school, even if your child likes it there usually and enjoys being with their friends. *Complain of physical sickness such as a headache or stomach-ache just before/at the time of separation (this was a struggle for us). *Fear something will happen to a loved one. *Worry that they may be permanently separated from you. *Have little appetite or pick at and complain about food. If your child’s separation anxiety seems to appear overnight, there is the possibility it could stem from a traumatic experience and is not separation anxiety. The symptoms may appear the same, but are treated differently. According to the website www.mentalhealth.org.uk, anxiety disorders are estimated to affect 3.3% of children and young adults in the UK. Other websites indicate this percentage to be higher. WHAT CAN I DO AS A PARENT OR A CARER TO HELP AN ANXIOUS CHILD? In Stacey’s book she tells us to think about your routine and when it would be best for you to talk to your child about their anxiety. If your child is particularly anxious at the mere mention of nursery then bed time is not a good time, instead over breakfast is a popular choice. If you are working with a psychologist or occupational therapist, you might be following a programme of progressive muscle relaxation. All parents can access this information from the Internet or using books to help your child relax if they find it difficult to settle at night. Unfortunately, a difficult night settling to sleep, or fractured sleep patterns, in return can cause your child to be unsettled the next day enhancing separation anxiety. Stick to the same routine every day and night. Be kind to yourself and be guided by your little one’s responses over time. What is it about this situation that is making you upset? You can create a plan of alternative solutions to help your child transition. What is worrying or frightening you? With Archie’s communications issues, it’s up to us to try and figure out the answers to these questions and work on ways to reassure him. Your child might be able to explain, or they may struggle to understand their emotions. They need to know that Mummy or Daddy are there to support them and to make them feel safe, but they don’t need Mummy or Daddy with them all the time to feel safe. Have you been through this with your child? What worked for you? Or are you still working on overcoming the anxiety? Extracts and quotes from the Parents Guide to Childhood Anxiety & Separation Anxiety and Stacey Turner, author of I’m Going To Nursery & mytinybook.com. Next Post IS YOUR CLEANING ROUTINE AFFECTING YOUR TODDLERS HEALTH?